Since the '90s, TCS has been in a slew of consumer products, including facial cleansers, toothpaste, mouthwash and hand sanitizers. There's no such ban on Colgate Total, the popular toothpaste that contains TCS. That's because it's been found to be more effective at treating gingivitis than toothpaste without it. Gingivitis is an important health concern as it can lead to tooth loss. And research has indicated the bacteria that causes periodontitis can enter a person's bloodstream and harm the heart and lungs. "Our job is to do the best science we can do and make people aware," she says. "As scientists, we communicate our findings, and the public or companies or government decides what they should do." Triclosan also remains in certain "antibacterial" products not under the FDA's control—such as cutting boards and baby products. In various studies, Gosse and colleagues have made multiple discoveries about TCS. In conducting their research, they've used TCS dosages that correspond to doses people are exposed to when brushing their teeth or showering with products that contain the antimicrobial. One discovery is that TCS is a mitochondrial uncoupler. That is, it's toxic to mitochondria, which are the energy powerhouses of cells. When mitochondria are deformed or shut down, they can't make the energy that cells need to perform functions—including immune defense. In UMaine's most recent study, the team sought to determine the mechanisms underlying TCS disruption of mitochondrial function and mast cell signaling. Hess invented a fluorescence photoactivation localization microscopy (FPALM) technique that allows researchers to witness triclosan's deformation of live cells' mitochondria, in real time. Following up on the microscope findings, Gosse and her team determined the biochemical mechanisms that underlie triclosan's fission of mitochondria—including generation of damaging reactive oxygen species. Mast cells are in most human tissues, including the lining of the mouth and in skin—both of which absorb TCS. So, when mast cells are inhibited, problems may arise. 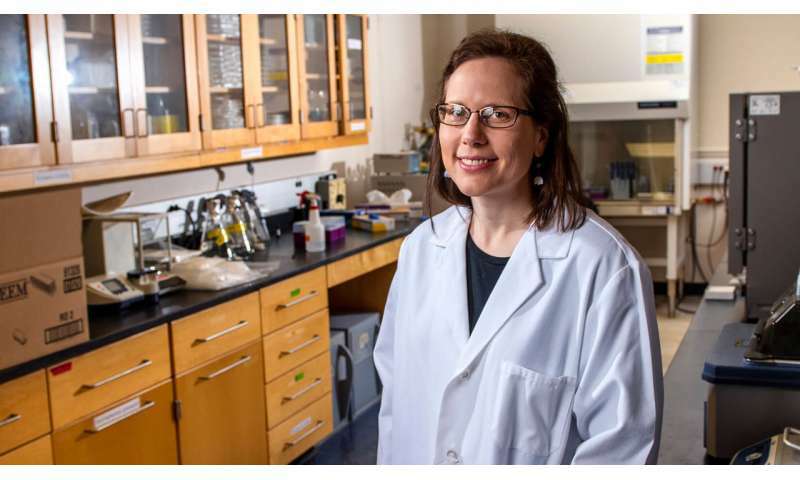 The UMaine team's most recent findings were published in April in the article "Antimicrobial agent triclosan disrupts mitochondrial structure, revealed by super-resolution microscopy, and inhibits mast cell signaling via calcium modulation" in Toxicology and Applied Pharmacology. Funding was provided by an R15 Academic Research Enhancement Award which supports meritorious research and exposes undergraduate and graduate students to hands-on research—from the National Institutes of Health. Graduate School of Biomedical Science and Engineering student Weatherly was supported by UMaine's Chase Distinguished Research Assistantship and Michael J. Eckardt Dissertation Fellowship. And thanks to Hess' FPALM technique, the field of toxicology has a powerful new tool for understanding chemical effects on human health.